Now that everyone knows where to stay and how to get to Monmouth Park for Sunday's Haskell Invitational and American Pharoah's $600,000 workout, here are some restaurants within 15 minutes of the track and near and dear to the NJ Horseplayer camp worth sampling if you're in town for the weekend. Mirroring my writing style, some are off the beaten path, not to mention casual. 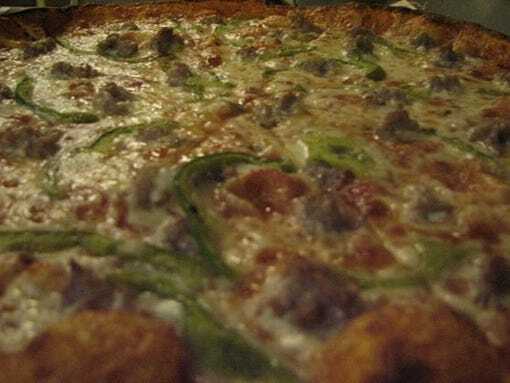 Others, namely in the pizza realm, are always subject to great debate among locals as to which one deserves supremacy. The premise here is to share a dozen or so local eateries (most are first-come, first-served) and help you avoid the highway chains littering the landscape. There's plenty of flavor a short distance from Monmouth Park. Vic's, Bradley Beach: Best sauce and thin crust pizza in the area. I recommend the "special" (homemade crumbled sausage and green pepper) and chopped antipasto, but the pepperoni pizza is extremely fresh as well and the restaurant's ambiance is casual. It's an amazing old-school tomato pie. About a 10-minute drive from Monmouth Park, down either Rt. 71 or Rt. 35 South. Pete & Elda's, Neptune City: Locals tend to be in either the Vic's or Pete & Elda's camp, but you cannot go wrong with the tomato pies/pizza here either. It's akin to being either a Pat's or Geno's guy for Philly cheesesteaks. Situated on Rt. 35 South, be prepared to wait at Pete & Elda's; very popular place year round with tight parking. Zachary's, West Long Branch: On Oceanport Avenue, literally across Rt. 36 from Monmouth Park, Zachary's is where Red Rock or Bust and I lick our wounds after many a handicapping contest at Monmouth. If you have not noticed yet, pizza is a staple for me, but Zachary's is very underrated and has a great bar that's big and serves $5 pitchers of ice cold Pabst Blue Ribbon. Dinner menu is diverse and food's good in general. Recommend sausage & pepper pie and buffalo wings. Casa Comida, Long Branch: About a mile from the backside of Monmouth Park, this Mexican establishment serves a fine golden margarita that'll knock your socks off, and although I have only been here once, I trust the opinion of friend and fellow NHC Tour member Paul Zerbst in recommending the food as well; Paul even went post-contest in a blizzard once. That must tell you something (one individual's insanity aside). 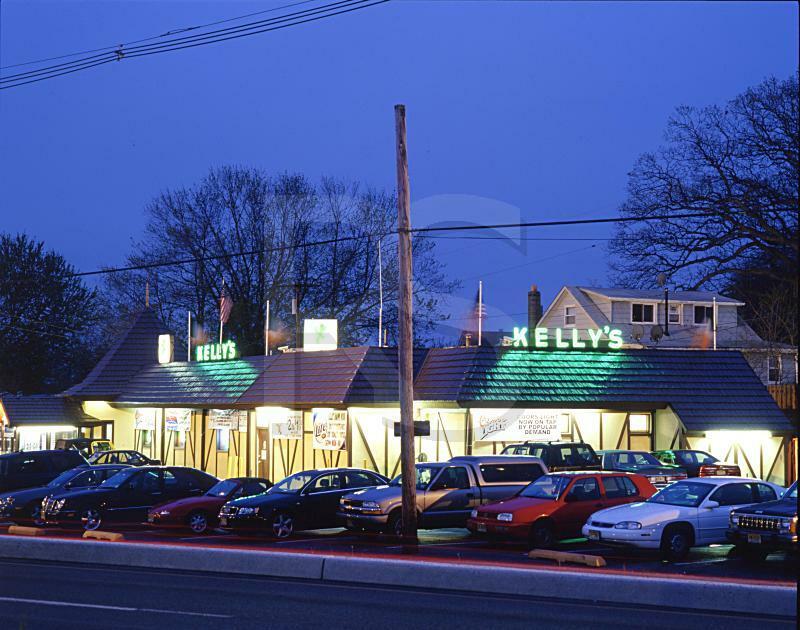 Kelly's Corner Tavern, Neptune: The absolute BEST open-faced corned beef Reuben on the planet, and I've had people far and wide attest to that fact. The "mini" is sufficient enough; get the "large" version at your own risk, or plan on sharing. A great bar, and Kelly's is open from 7 a.m.-2 a.m., serving Irish-style breakfast as well; so, take that, Parting Glass Pub (Saratoga)! If you're a hard-core foodie, this is a half-mile from Vic's and Pete & Elda's; try all 3 in a day! Brick Wall Tavern, Asbury Park: The filet mignon sandwich with frizzled onions and blue cheese crumbles on a potato roll is mouthwatering. The bar menu is extensive, and any establishment that serves a Kentucky Hot Brown should resonate well with visitors from the Bluegrass State. Within walking distance of the famous Stone Pony and Asbury boardwalk as well. Sister restaurant Porta, known for its Tuscan-style pizzas, is also in Asbury Park. Lincroft Inn, Middletown: Practically walking distance from the NJ Horseplayer homestead in Tinton Falls, hands down this is the best burger in the area. A lot of folks will sell you on Barnacle Bill's in Rumson, but for my money Lincroft Inn's boss. The building is a few hundred years old, but the bar is outstanding and TVG is always on. Barely 15 minutes from Monmouth Park; a good place for anyone staying at any of the hotels along Newman Springs Road over the weekend. 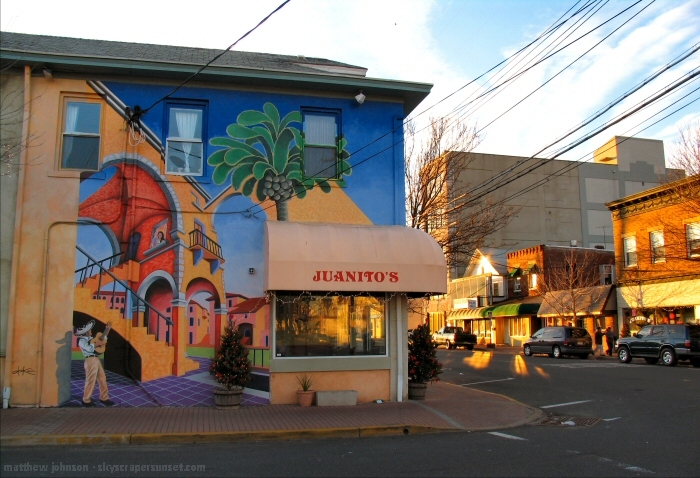 Juanito's, Red Bank: I'm partial to the Camarones Cinco de Mayo and Enchiladas Del Mar (no horse racing pun intended), but by all accounts the food here is solid and it's BYOB. 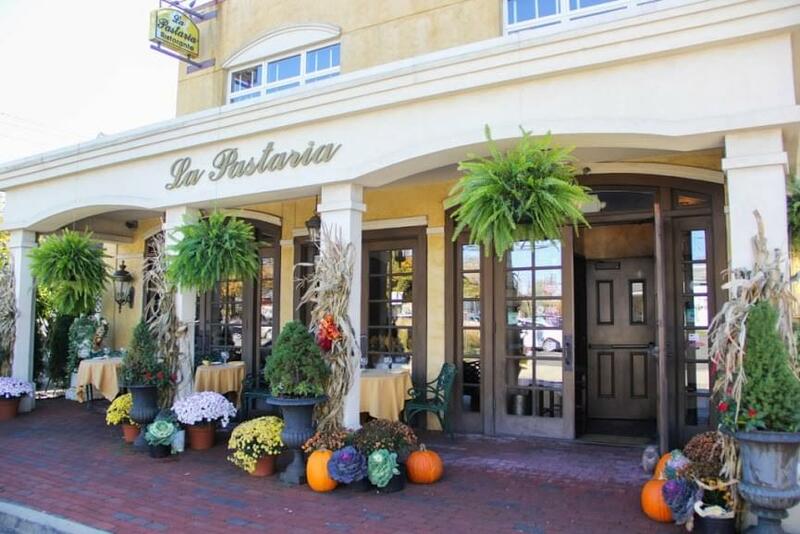 La Pastaria, Red Bank: I am a big proponent of TripAdvisor, but would dismiss several of the negative ratings for this Italian gem, as I have dined next to strangers in Red Bank who can be on the rude and pretentious side. La Pastaria is another BYOB establishment that, for my money, has some of the best Italian food in the area; seafood dishes also are above-average. It's on a side street and a little hard to find but worth the visit. Mumford's Culinary Center, Tinton Falls: Actually a culinary school that serves mostly breakfast, lunch and baked goods (closes around 3:30-4 p.m.), Mumford's is a hidden gem that makes outstanding sandwiches and fresh fare picked from the gardens right outside the restaurant. They're not open on Sundays, but do not hesitate to stop here en route to a day at the track; it's about an 8-minute drive from Monmouth Park and located at 33 Apple Street (07724) if using your GPS. Mike's Giant Submarines, Belmar and Pat's Market, Lincroft: Perhaps a low-brow suggestion, but subs (not "hoagies," "grinders," etc.) are a great idea for anyone looking to pick up some deli for a day in the Monmouth Park picnic area/BYOB sections. For my money, Pat's (a butcher shop in a strip mall too short on parking but that happens to make great food) has THE best sandwiches in the area, but Mike's also makes a nice sub on fresh Nino's (the gold standard) rolls. Mike's or Pat's are infinitely better than the better-known Jersey Mike's, and unless you plan on insulting New Jerseyans, do not stroll into the picnic area with a Subway foot-long under your arm. Manhattan Clam Chowder, Monmouth Park: I **** you not, Monmouth Park's clam chowder is one of the best around, in my opinion. Now, you can find a lot of decent New England clam chowder along the Jersey Shore, and in fact Stefano's on Long Beach Island's is so good the restaurant won for "best chowder" in Newport, RI in 2014. (If you want to take the hour's drive south from Monmouth Park, I'd suggest a reservation at Stefano's...best seafood restaurant in NJ hands down). However, I have yet to find award-winning red chowder nearby and rank Monmouth Park's as my favorite. Stop by the downstairs concession stand near the grandstand bar on the ground floor, fork over $5 and prepare for what is, perhaps, the best dining experience from the track's concessions. Check back in after you've tried these places and share your thoughts in the comment field. The betting options on Haskell Day! Good recos, but you left out the Windmill and Miller's Luncheonette!